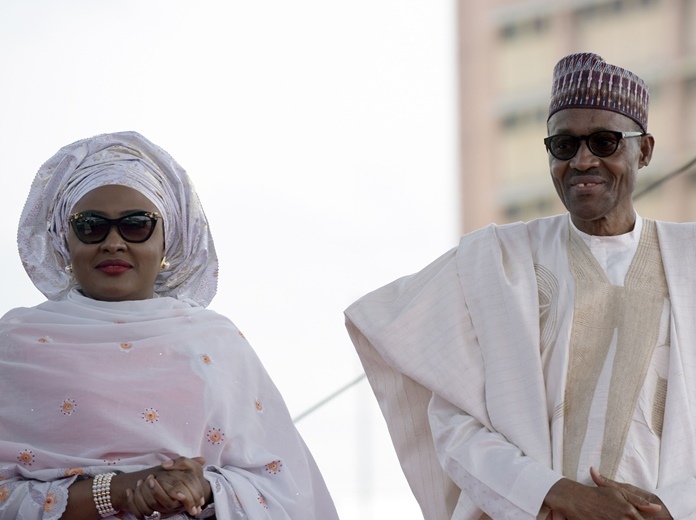 Nigerian President Muhammadu Buhari has been widely criticised for saying his wife, Aisha, belongs in his kitchen and living room, in response to the first lady’s public criticism of the president’s appointments. According to a report by CNN, as covered by ISNA, Buhari’s blatantly sexist remark came during a Berlin news conference with one of the world’s most powerful women, German Chancellor Angela Merkel. “I don’t know which party my wife belongs to but she belongs to my kitchen and my living room and the other room,” said the president, whose popularity at home has plummeted amid a deep recession. Buhari told reporters that he can “claim superior knowledge over her and the rest of the opposition” after running for president three times and succeeding on his fourth attempt. There was no immediate reaction from Merkel, who is called a Machtfrau — a woman of power — in Germany for managing to reach the top as an outsider in a male-dominated world. Shehu tweeted that the fact that a woman, Kami Adeosun, holds one of Nigeria’s most sensitive government posts as finance minister, was evidence of Buhari’s confidence in women. But critics took to social media to denounce Buhari’s sexist remarks.